Saying hi to the fire salamander. Previous Cows dining al fresco. Thank you so much, I’m glad you like it. Beautiful use of color and the salamander really pops out. Nice color in the rocks as well. Thank you, Jeff. I feel lucky to have had an encounter with this little guy. 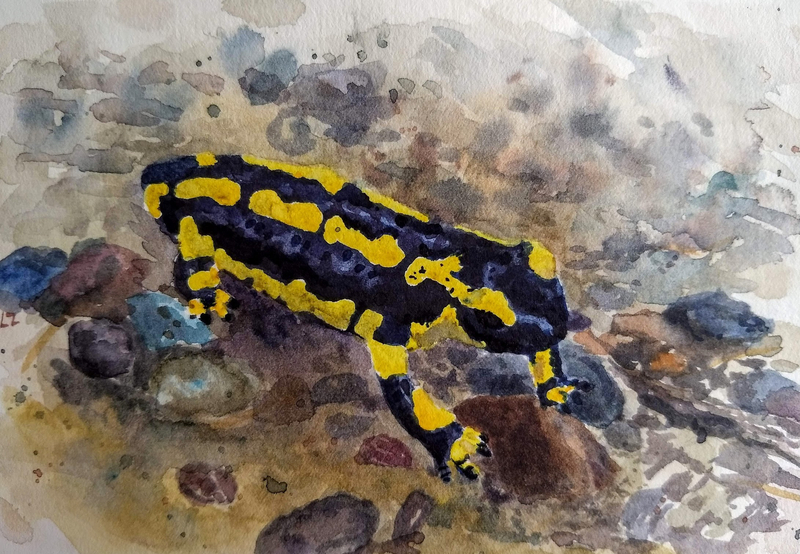 It made me read up on the fire salamander. What an interesting animal!